American politicians can often seem stodgy and out of touch, but superstar Congresswoman Alexandria Ocasio-Cortez is doing her best to smash that stereotype. Ever since she got elected to represent New York’s 14th congressional district, Ocasio-Cortez has been proving she’s just like her millennial peers by wasting her life on social media. 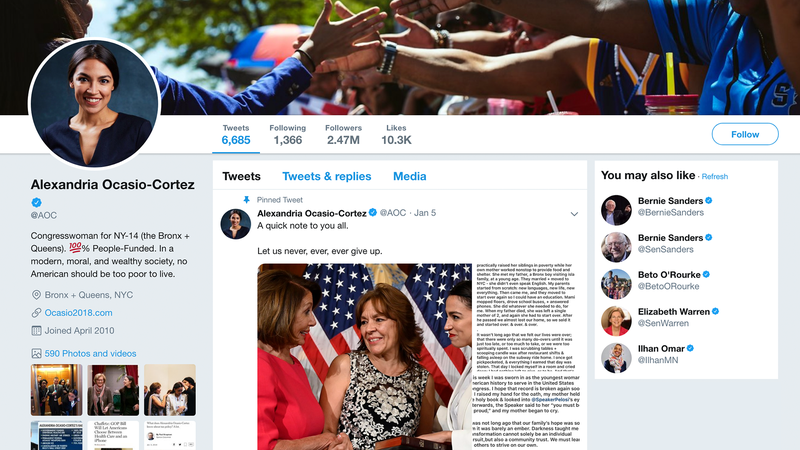 Democrats, take note: If you want to appeal to America’s youth, you’ll have to suffer through endless hours of reading and posting tweets like AOC does! Ocasio-Cortez’s Instagram game is just as on-point as the rest of her social media presence. She often live-streams herself cooking dinner in her kitchen while breaking down complex political issues, proving that the internet forces her to take work home with her and slave away late into the night during her free time when she deserves a break, just like it does to so many other millennials. That’s why voters connect with Alexandria Ocasio-Cortez: They can see that she’s trapped in a technological prison with no escape, just like they are. And to any Republicans thinking of criticizing AOC online, watch out, because like any young, with-it politician, she is cursed with the burden of reading your tweets and responding with an epic clapback. Being forced to read trollish posts from GOP leaders instead of just ignoring social media completely is part of AOC’s job as a member of Congress in the modern age, and it could not be more relatable! Finally, millennials have someone who shares their reluctant reliance on the internet representing them in Congress! Alexandria Ocasio-Cortez is almost as inspiring as the idea of deleting all your social media accounts and being free at last from the never-ending hell that is the internet. We’re excited to see what she accomplishes on Capitol Hill!